When I co-founded Pulse back in April 2010 we only had two employees: me and my co-founder Akshay Kothari. We knew each other well, and of course we knew what the other was working on. But as our team grew, I began to worry more about our employees not knowing each other, and not knowing what everyone else was working on. And I was concerned about the impact this could have on our culture and productivity. 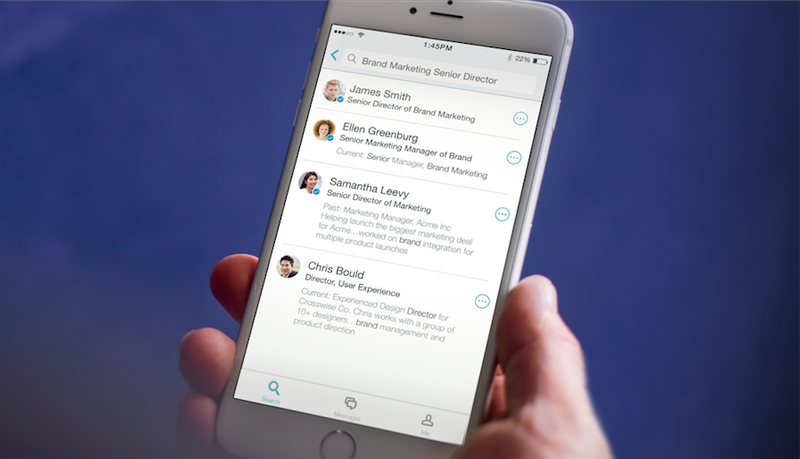 That’s why I’m excited to introduce you to LinkedIn Lookup -- a new LinkedIn app that makes professionals more productive and successful by helping them easily find, learn about, and contact their coworkers. We discovered in April that about 30 percent of members who search for people on LinkedIn each month view their coworkers’ profiles. We wanted to find out why, so later that month we surveyed 814 professionals in North America about how they use their companies’ intranets. Only 38 percent of professionals said their companies’ intranets are effective at helping them learn about their coworkers. 58 percent said they could do a better job if they could find coworkers with specific skills. In response, people are looking elsewhere to learn about their coworkers. 46 percent say they look up coworkers on LinkedIn. That’s because it’s easier to find coworkers on LinkedIn, and the professional info people add to their profiles is more comprehensive and up-to-date than lots of companies’ intranets. Let’s say I recently met a person on our corporate communications team whose input I’d like on a product I’m developing, but I can’t remember her name. No problem! With Lookup I can search for coworkers by name, title, current and past experience, education, and skills. Lookup provides me with the photos, names, and titles of my coworkers whose LinkedIn profiles include the skill or title “corporate communications.” There she is: Julie. I click on Julie’s profile and Lookup gives me the info that is most relevant to me: her photo, title, work experience, education, top skills, and work email address. 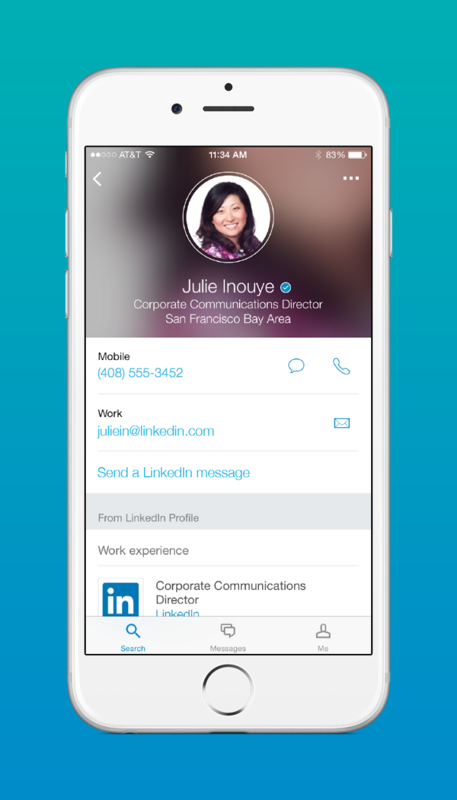 I’d be able to see Julie’s info via Lookup even if we weren’t connected on LinkedIn. Lookup also gives me Julie’s mobile number, since she has added her contact preferences to Lookup. 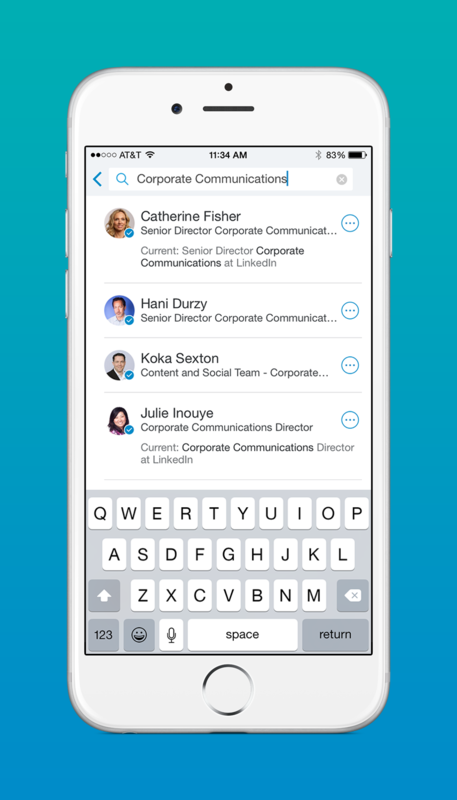 Contact preferences that members add to Lookup are only visible to coworkers using the app, and don’t appear on their public LinkedIn profiles. But what if Julie didn’t add her contact preferences to Lookup? I can send an email to her work address directly from Lookup, or send her a message. I simply click “Send a message,” type my message, hit “Send,” and Julie will get an alert on her mobile phone. Lookup users can message coworkers, even if they haven’t downloaded Lookup, and messages sent to coworkers’ LinkedIn inboxes via Lookup don’t count against the number of InMails members get each month. There’s an old saying: “It’s not what you know, it’s who you know.” Unfortunately, these days it’s harder to know your coworkers than it is to know professionals outside your company. 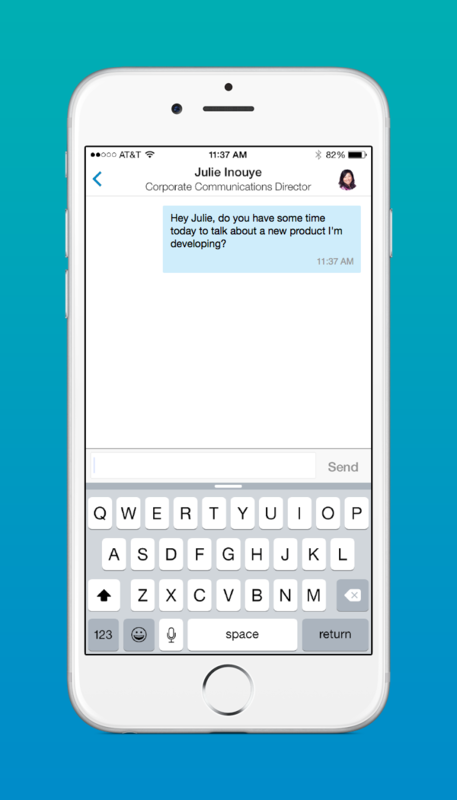 If you’re one of the many professionals out there struggling to learn more about your coworkers, check out Lookup!